Coffee blend #340 is composed of equal parts of two varieties of Arabica, Ethiopian (Yirgacheffe) and Brazilian (Sul de Minas and Cerrado). 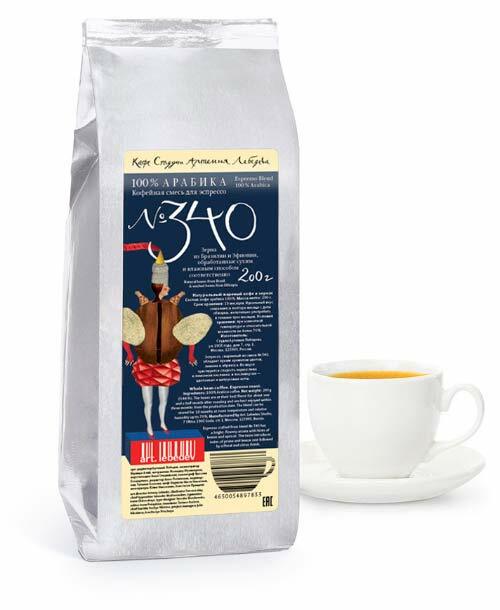 Espresso made with blend #340 has a full well-rounded taste with hints of buckwheat honey and raisins and a juicy lemon sourness. The aftertaste reveals apricot sweetness. Yirgacheffe coffee is grown at the altitude of 1400–2000 meters (4600–6500 feet). The fruit are processed by the wet method. 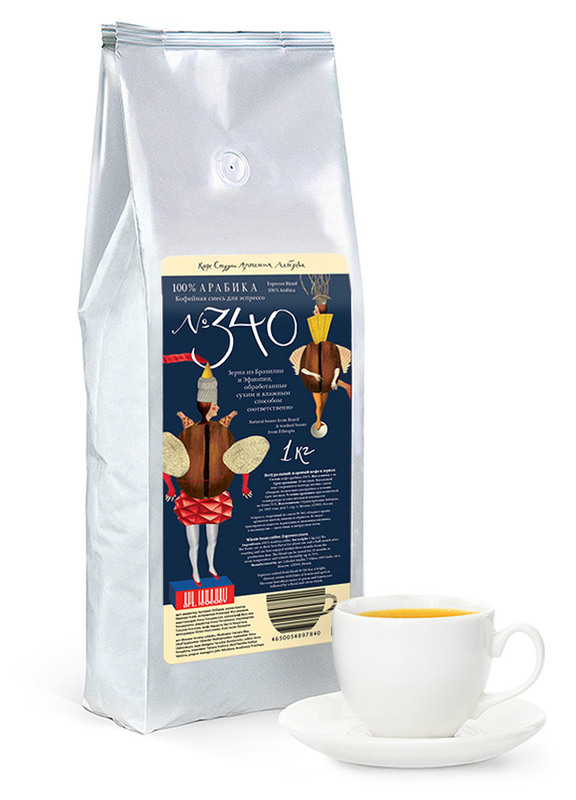 Ethiopian beans give espresso a peculiar citrus sourness and fruity notes. In the Brazilian regions of Sul de Minas and Cerrado coffee grows on Catuai, Mundo and Tupi trees and is naturally processed. This Arabica is responsible for sweetness, density and flavor balance of the drink.